Please join us on Friday 3 February for a jewelry-focused one hour mix by Ray~Ray in collaboration with artist Jessica Price-Eisner. Members enjoy a drink on the house with good company and a chance to experience Astral Bodies after hours. Bold accessories encouraged! RAY~RAY is a collaborative project between Toronto-based artists Ella Dawn McGeough and Sarah Nasby that produces limited edition jewelry and jewelry-like works by contemporary artists. 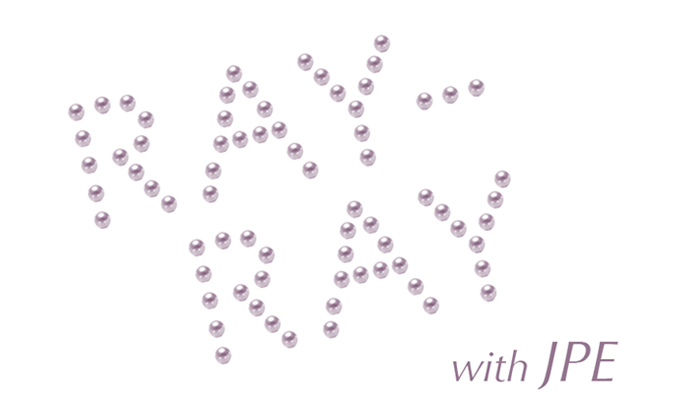 Since launching in June of 2016, RAY~RAY has produced Supports for Jewelry you already own by Kelly Jazvac and Ibiza by Lorna Bauer. Upcoming projects include a jewelry edition by Cameron Lee with a corresponding photographic work by Liana Schmidt. RAY~RAY was born when Ella and Sarah approached each other to collaborate on a jewelry-by-artists edition line. Realizing they had, more or less, the same idea they started talking and couldn’t stop. RAY~RAY brings together Ella and Sarah’s combined enthusiasm for—and varied experiences in—curation; public programming; publishing; exhibition design; writing; graphic design; artist multiples; and jewelry. RAY~RAY is an art project that surrounds projects.